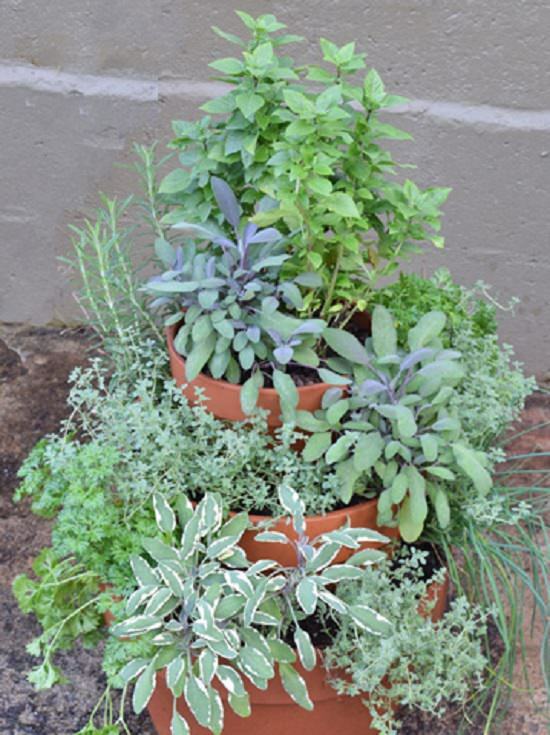 Try these Container Herb Garden Combinations to grow the essential cooking herbs fresh in one pot to increase the flavor of your food. 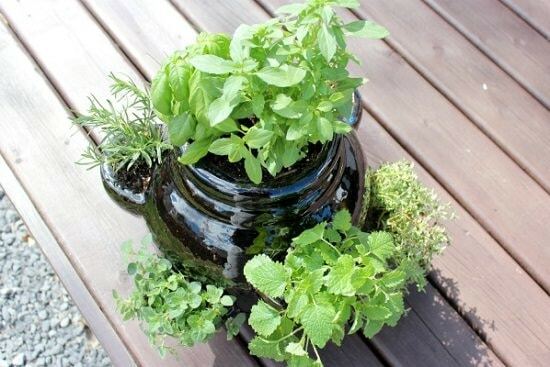 Even if you’re short of space, you can grow herbs in pots and get sufficient harvest. 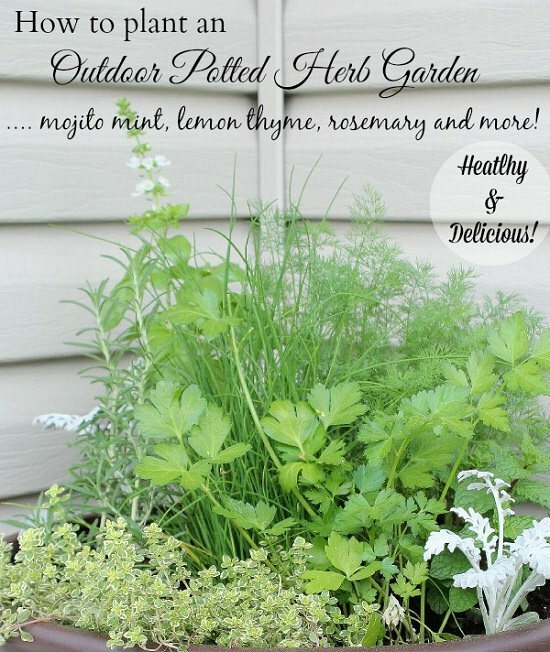 Most of the cooking herbs like parsley, thyme, oregano, cilantro, mint, sage, rosemary, marjoram, chives, and fennel are easy to grow than other edibles. 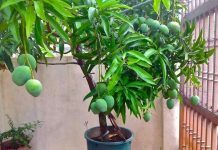 You can plant them together in one single pot and keep them near the kitchen for a quick harvest. When planting herbs together, always do a good research about their requirements. Herbs with the similar planting needs must be grown together. Invasive herbs like mint and its varieties must be planted in separate pots. This potted herb garden has a mix of all the herbs planted. If you like the idea, click here to learn more. 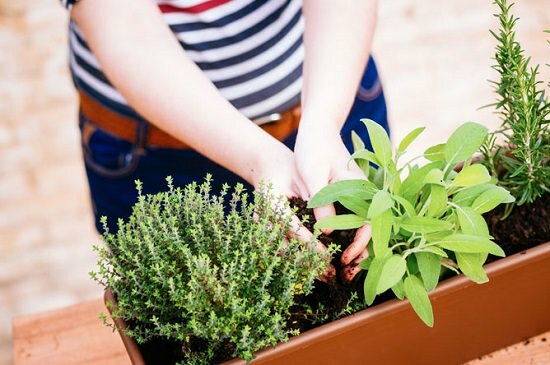 Snip a handful of your favorite herbs anytime by growing a combination of aromatic herbs on your deck, patio or balcony. 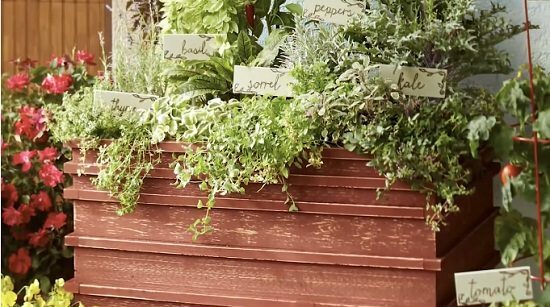 Take inspiration from this container herb garden by HGTV. 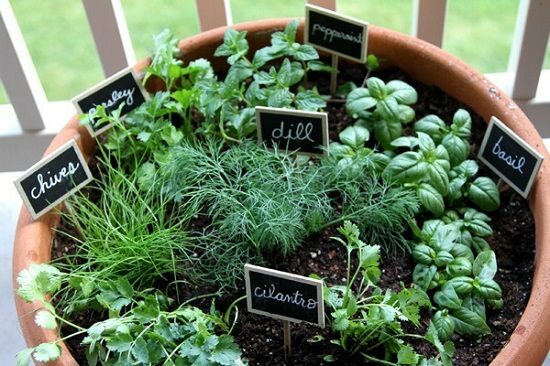 From all the other container herb garden combinations ideas in this list, this one is different as it also shares the DIY tutorial for making chalkboard labels. This video from Grow Veg shares an excellent insight on growing herbs in containers and tips on growing herbs together. 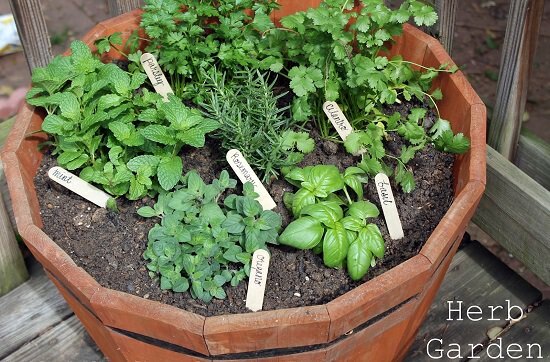 Grow an entire pot of your own herbs for fresh flavor and aroma. 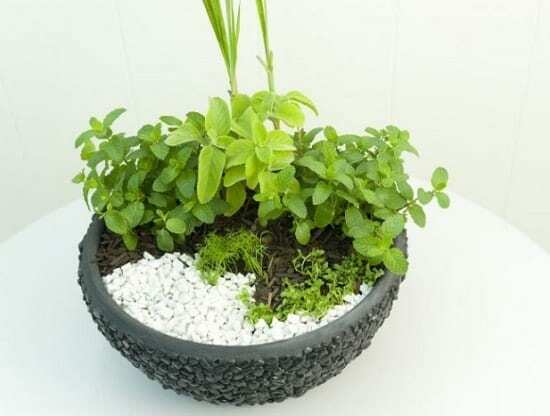 Choose a large pot like this wooden barrel with sufficient drainage. Learn more about this at Carolina Charm! If you want to create a one-pot herb garden of your most favorite cooking herbs, choose those with similar growing needs. Learn how to do this at A Cultivated Nest. Herbs Growing in this Pot: Sage, Thyme, Lavender, Mint, Oregano. Strawberry and edible flowers are optional. 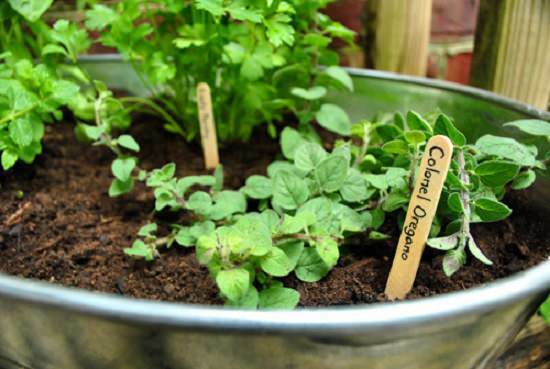 Copy this DIY Kitchen Herb Garden project, if you’re a small space gardener. 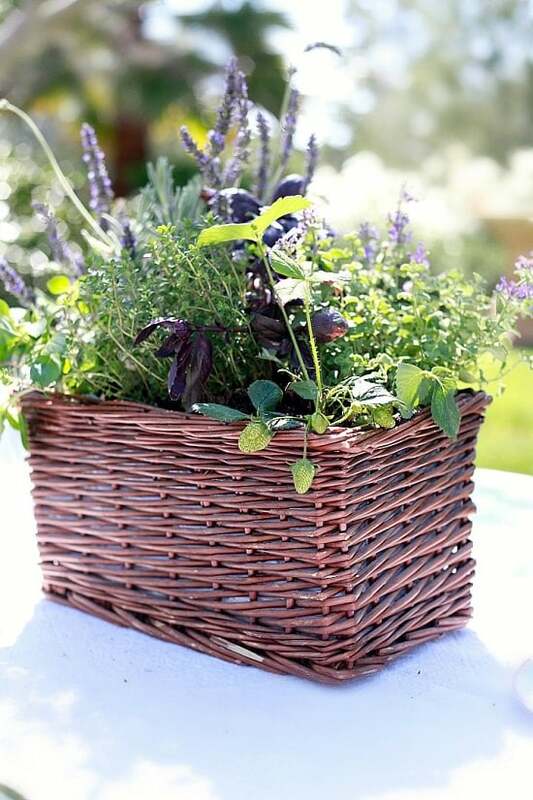 Gather a basket, rich potting soil and herbs to make it. 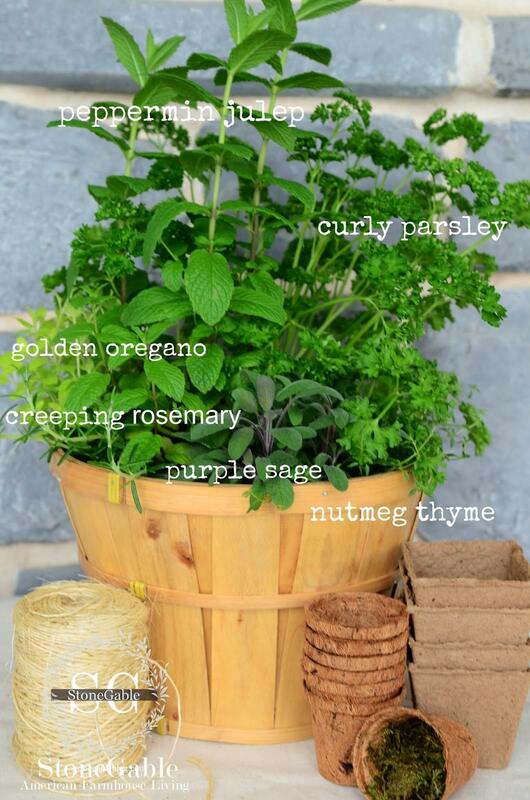 Visit Stone Gable to learn how all of these herbs are planted in a bushel basket. 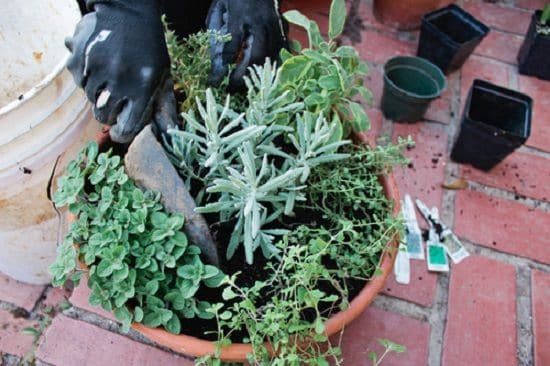 In this guide here, learn how to plant an outdoor herb garden in a big pot. Herbs are the most important edible essential for your cooking. 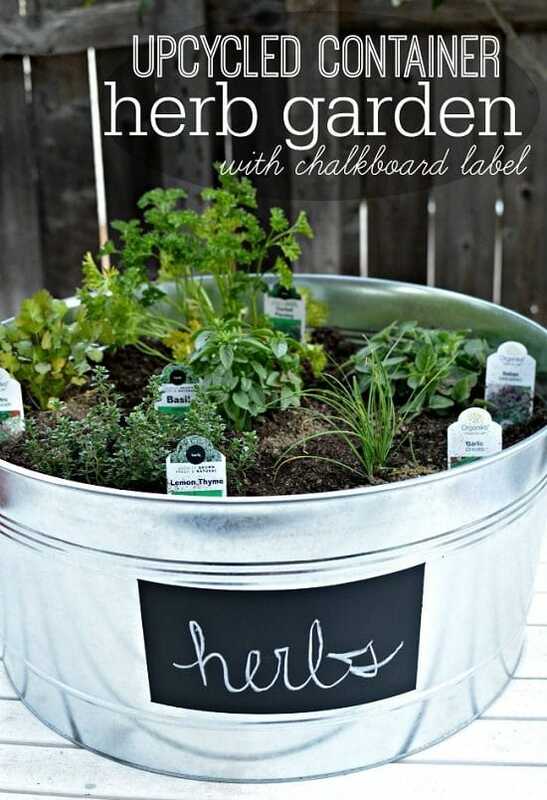 Get them fresh by creating a herb garden like that. The article is here! 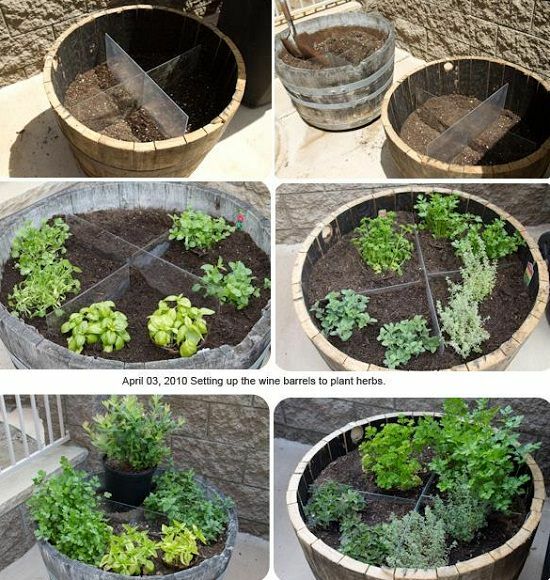 Growing herbs in a barrel give a lot of space. You can also divide it into sections to provide a separate growing area to each herb. 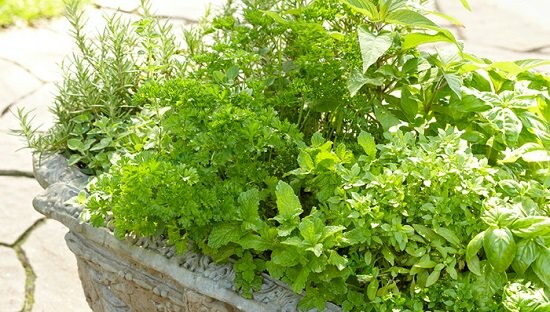 Visit the DIY Network to find out how to plant a mix of herbs. 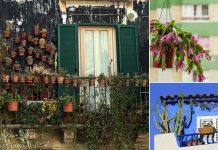 Learn on Garden Therapy, how to create a container arrangement of herbs and pretty flowers. 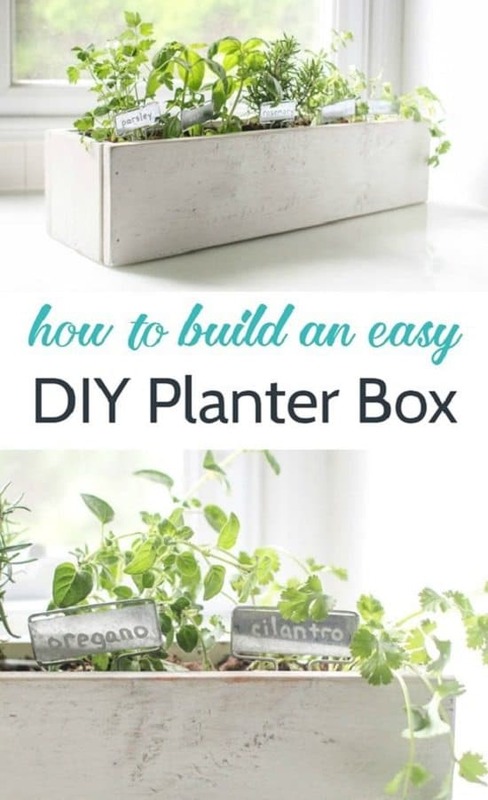 With some woodworking involved, create an elevated planter to grow a combination of herbs and vegetables. The tutorial is here! 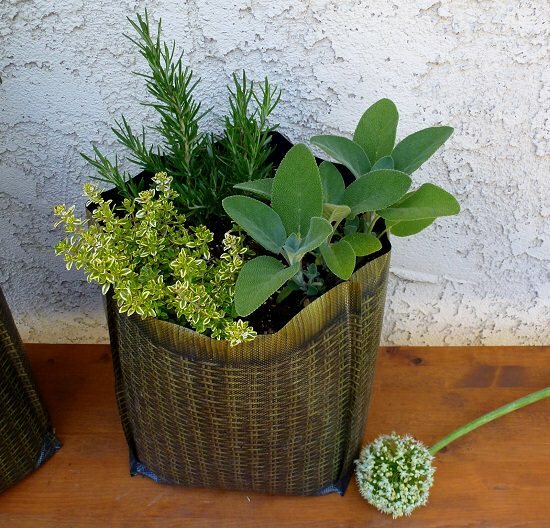 Visit Made with Love and Garlic to see the two container herb garden combinations to try. 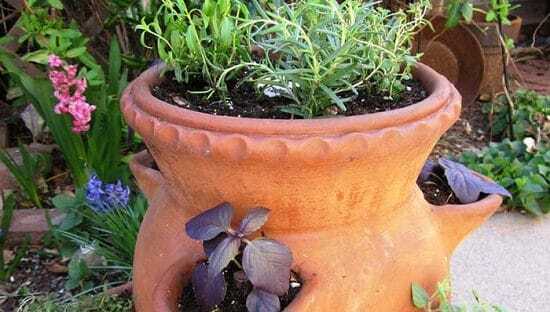 Grow a herbal tea garden in a large container in your home. Take help from the tutorial at DIY Enthusiasts. 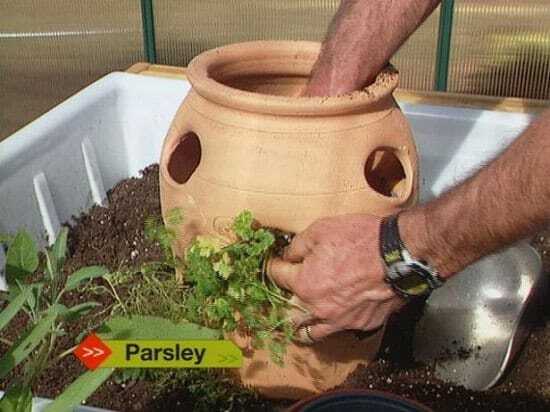 Use a large strawberry pot with numerous pockets to grow a lot of herb plants in less space. Find more of it here! 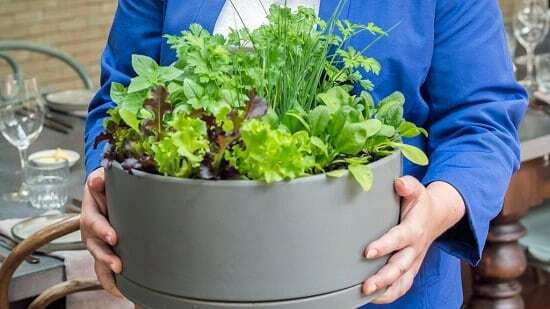 Get this culinary herb garden recipe at the LOWE’S. This one again involves the strawberry pot. 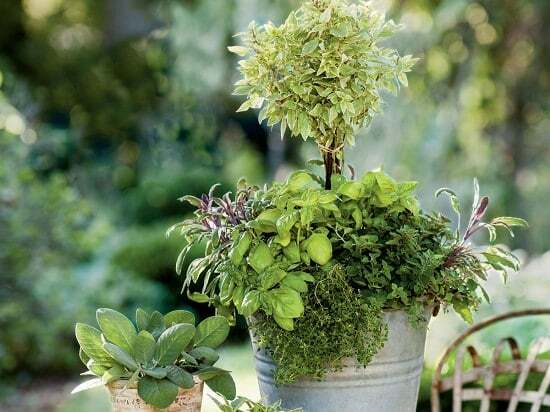 Get the tips here on how to choose the herbs wisely when growing together in containers. 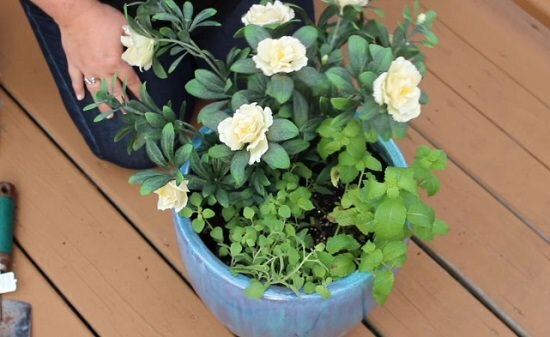 Grow fresh herbs with an artificial azalea flower to make this container arrangement showier. 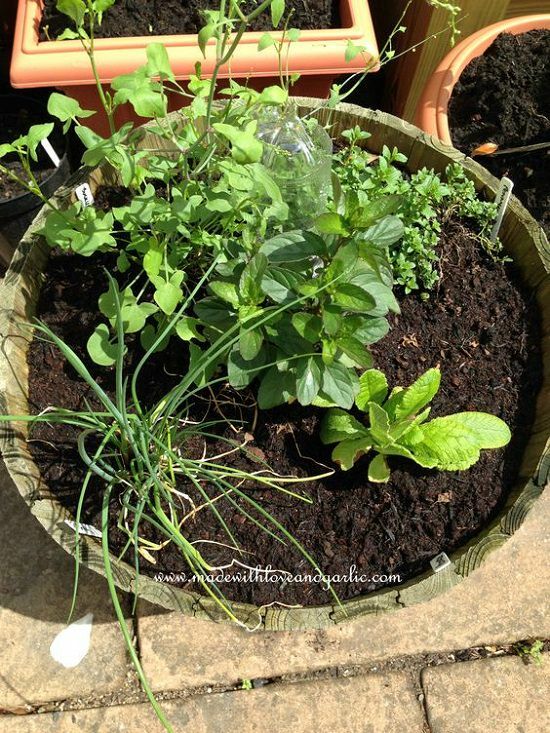 Learn this eatable herb garden arrangement for containers here. Create a herb garden tower of your favorite herbs. Get the instructions here! 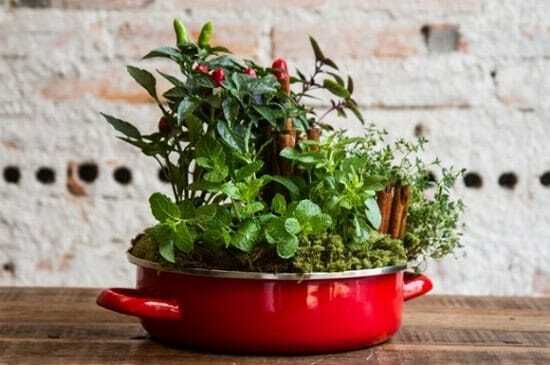 This decorative herb garden arrangement in a red enamel pan here can be a great centerpiece for your kitchen or balcony garden. If you lack outdoor space, growing a herb garden indoors near the window is possible, if it receives some sun. Click here for the article. 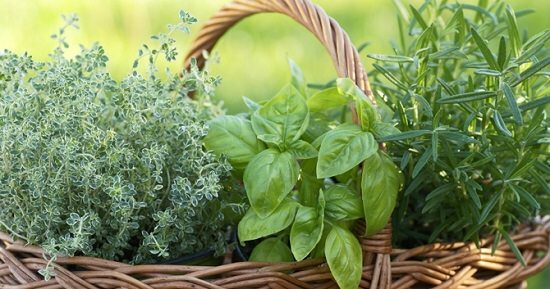 Learn about the eight most essential culinary herbs you should grow in this article. It’s a good read! 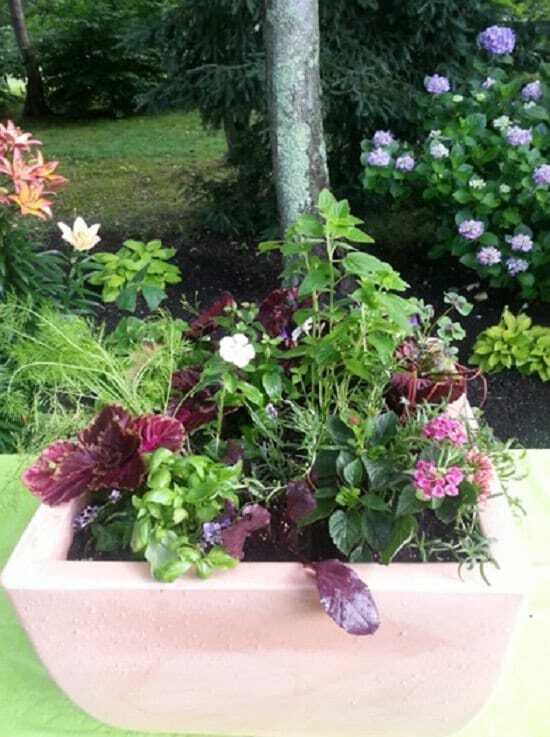 Create one of the best container herb garden combinations with a basil topiary and other herbs. 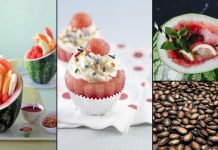 Get the tutorial at Southern Living. 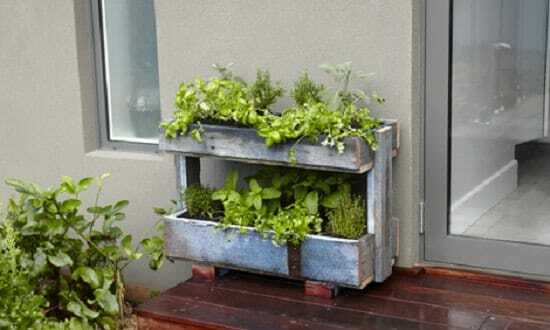 At Bunnings, learn how to grow a variety of cooking herbs in a DIY pallet planter. Herbs Growing in this Pot: Basil, Parsley, Sage, Rosemary, Oregano. 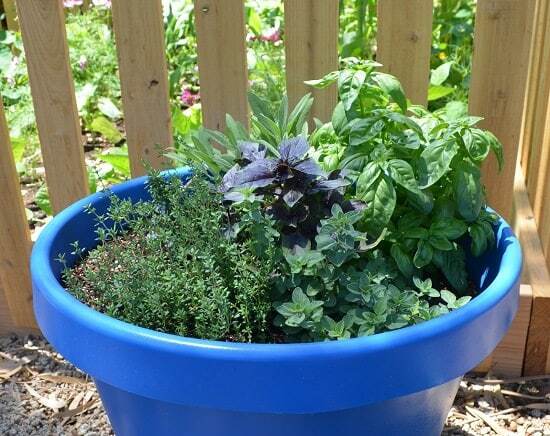 Visit LOWE’S to learn about this container herb garden combination. They named it ‘Culinary Delight’. 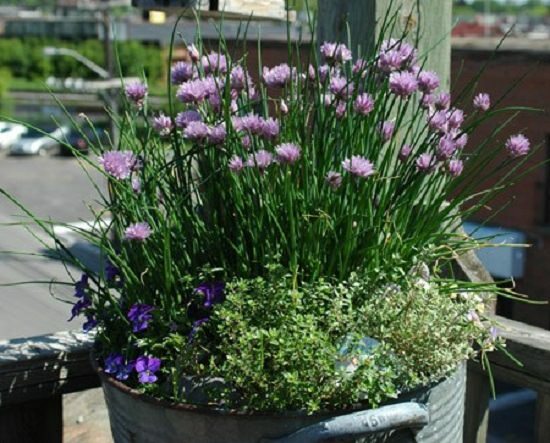 Visit Your Grow Girl to learn how to create the hardiest container herb garden with chives. 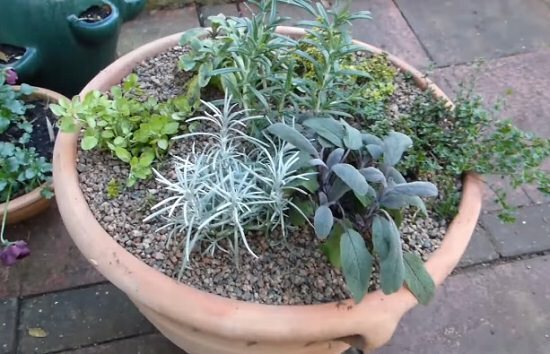 A mix of all the cooking herbs in a moveable pot. Learn more about this at The Organic Kitchen! 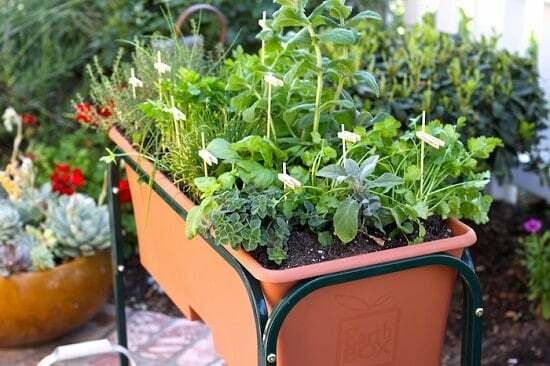 This article here will provide a lot of information about growing and harvesting herbs. “Bust the myth that you can’t grow your own food in a lack of space,” says the article at Nine.com, must read that. 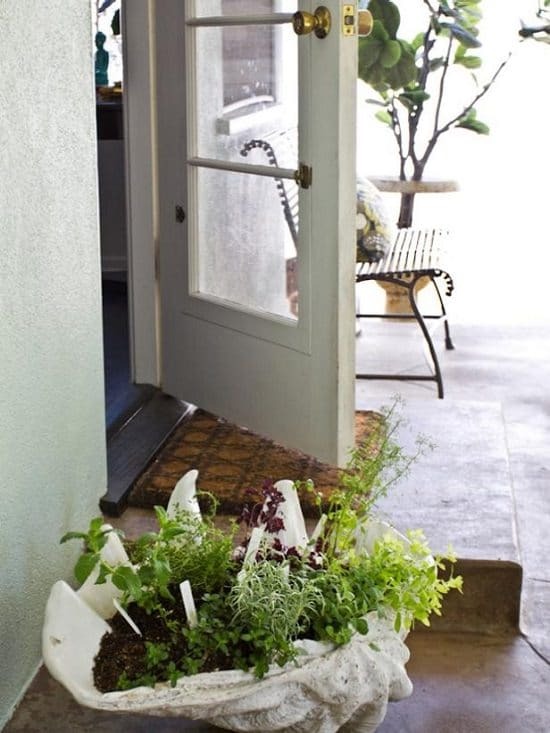 Learn how to create this lovely kitchen herb garden indoors at Lovely Etc.